How fabulous is this room? 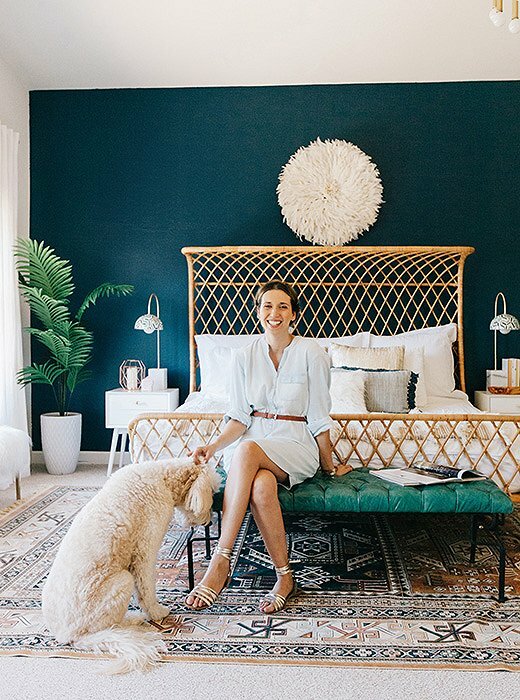 This swoon-worthy bedroom belongs to popular blogger Alexandra Evjem of AVE Styles. 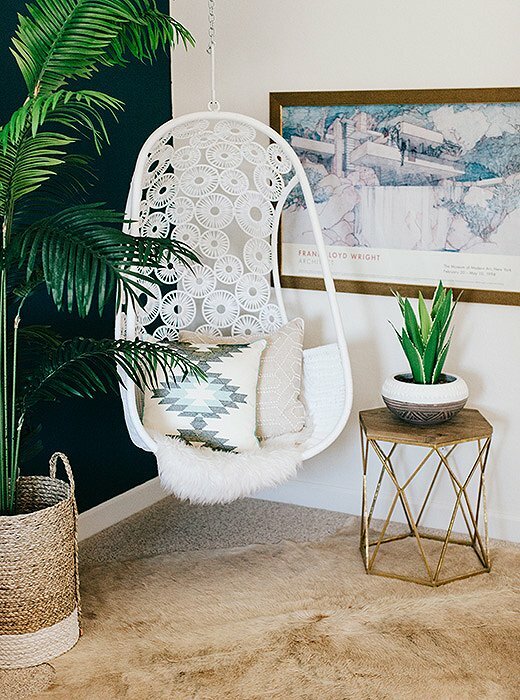 With virtual design help from Jessica McCarthy, this space is transformed into a delightful, bohemian chic room! 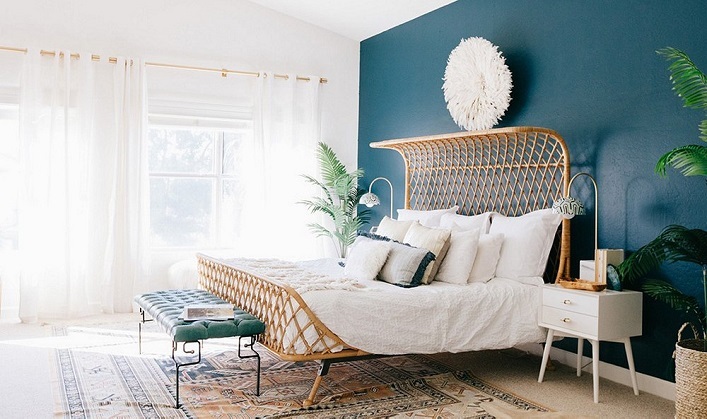 The first thing that grabs my attention is definitely the gorgeous curved rattan bed! 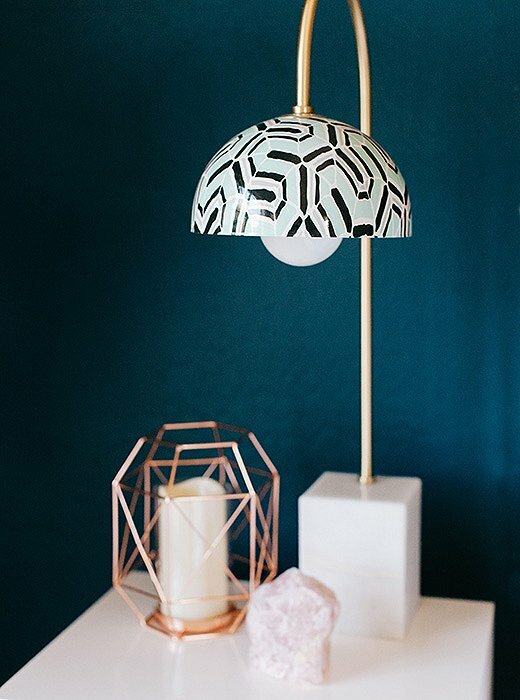 This showstopping piece provides the perfect focal point in the room. 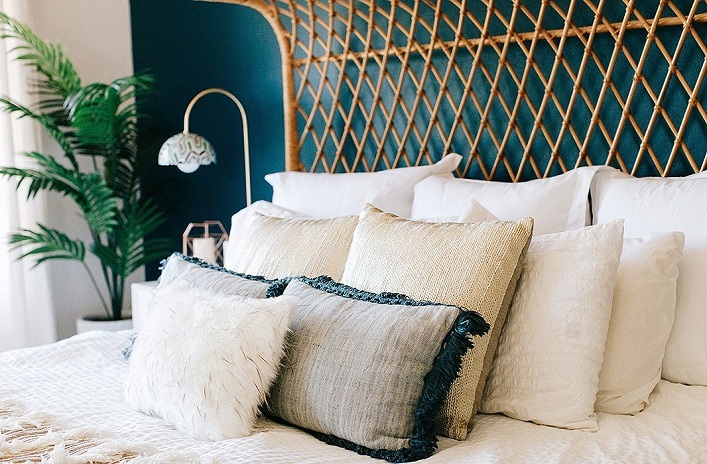 The bold teal accent wall creates a wonderful contrast to the bed, emphasizing the beautiful rattan textures! 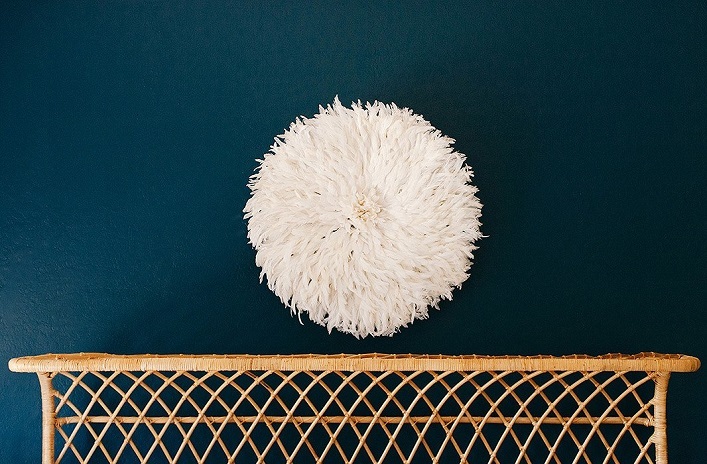 The beautiful juju hat and hanging chair on the other hand, inject a playful touch in the room. Other lovely elements such as the vintage rug, glamorous accents and live plants are the perfect finishing touches for the space. 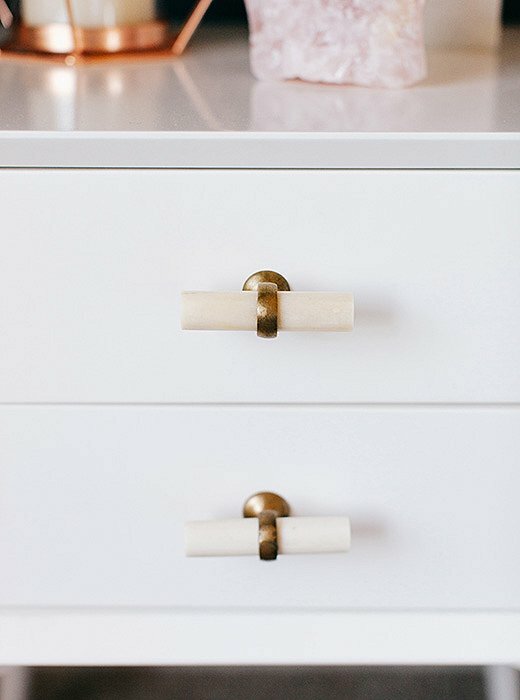 I truly love this laid-back, boho-chic room, what about you? A great room with tons of personality! !